Laura Deal-Decker, MSW, holds The Help Center’s 2017 Age of Excellence honoree award. 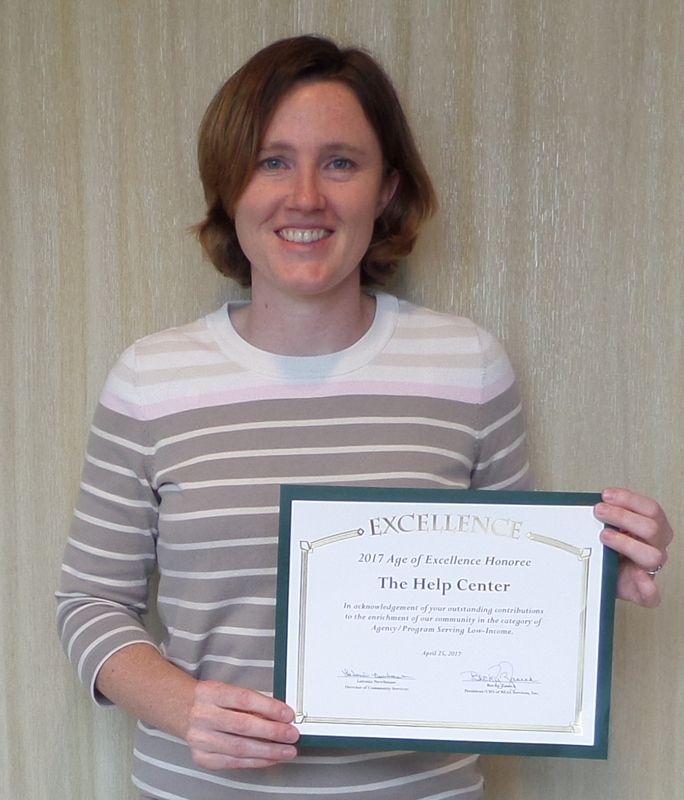 WARSAW — REAL Services of Northern Indiana recently recognized the Help Center as a 2017 Age of Excellence honoree for its outstanding service and deep commitment to serving low-income families in Kosciusko County. The Help Center is dedicated to connecting Kosciusko County residents to health providers and information, increasing appropriate utilization of health and wellness services and providing financial assistance to individuals who are challenged due to a medical condition. Those needing assistance with medical expenses can apply to Kosciusko County Community Foundation’s Good Samaritan Fund through The Help Center. Families traveling to Riley Children’s Hospital can also access the Kosciusko Riley Kids Fund. Those receiving treatment for cancer are able to receive assistance through the K21 Health Foundation’s Cancer Care Fund. In 2016 the Help Center served 861 individuals through these funds. The Help Center is supported by the K21 Health Foundation and Kosciusko County Community Foundation and is a program of Kosciusko Home Care and Hospice. Additional information on the Help Center can be found at www.KosHelpCenter.org or by calling (574) 372-3500.